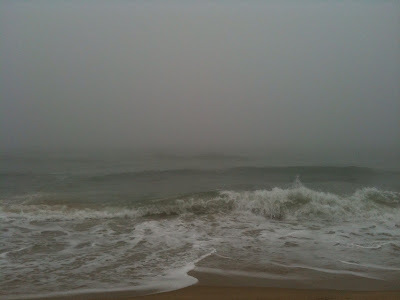 Ben and I drove out to Montauk for a week of dude-style vacationing: tennis, golf, fishing and cooking. 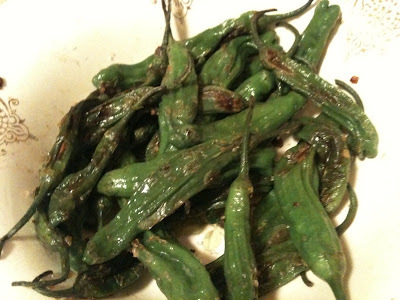 I got these shishito peppers and snow peas at the farmers market before we left. 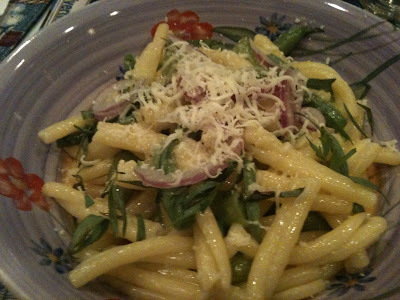 The pasta was leftovers: snowpeas cooked in butter and garlic, with tarragon and red onions. The ugly bowl is from the rental house.